This entry was posted on August 16, 2018 by Chris Elliott. Light coloured wood flooring has always been a popular choice. It can brighten up any style of room and is especially great for small or cosy spaces. If you have dark furnishings or a very bold décor, then light wood flooring can help to even out the balance. It will also bring a clean and modern feel to your home, whilst being easy to look after and hygienic. 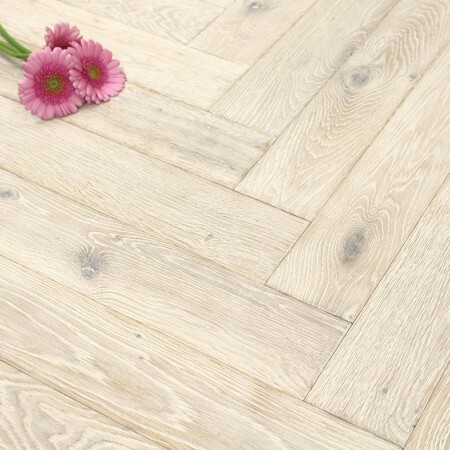 Because light coloured wood flooring is popular, there are so many different styles, tones and shades to choose from. Please make sure that you order samples before deciding which floor to go for. A flooring sample can look completely different in your own home, compared to a picture. It is worth ordering a few different ones so that you have a few to choose from. How is light wood flooring made? Some species of wood, like Oak or Maple, are naturally light in colour anyway. 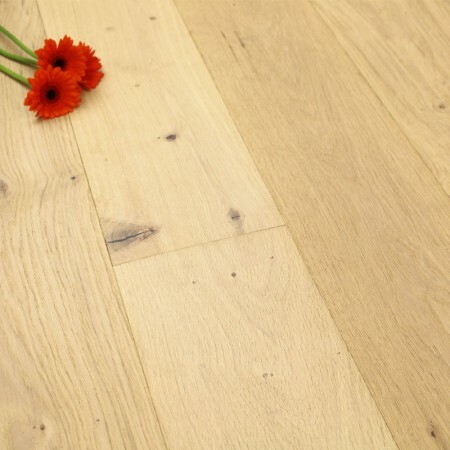 If you are looking for light or pale golden tones, then definitely look at our range of Oak hardwood flooring. However, if you are looking for something a little lighter with shades and hints of white, you may need to go for a stained floor. You will still be getting a natural wooden floor, but the surface will have been stained during the manufacturing process. Once the flooring planks have been made, a colour stain will be added to the surface. To create light wood flooring, usually a white colour stain is added. This can either be done subtly to highlight and accentuate the natural grain pattern. Alternatively, the stain can be more heavily added to totally change the colour of the floor. Finally, you have the choice to buy an unfinished floor and add your own white colour stain. Doing this will give you more control and flexibility over the exact light colour you will get. It is a great idea if you want a specific tone that you can’t find anywhere, but it does involve a lot of work. Why choose light wood flooring? It can brighten up a dull or dark space. Perfect if you have a dark or bold colour scheme. Ideal for a calming atmosphere like office spaces and nurseries. It can make a small or cosy room feel bigger.